There were miniature wire recorders early in the 1950th,, has made with vacuum-tube, and after 1955, with transistor. 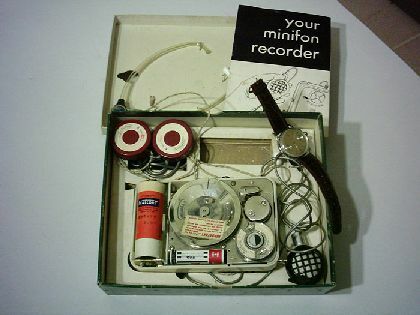 First of all Germany and the USA has fabricated pocket recorders in many types. The machine in the picture has a microphone, wich has built in a wrist-watch. So, this machine can be used for spy-record.